Orchard Farm has a beautiful location in Somerset's picturesque countryside. 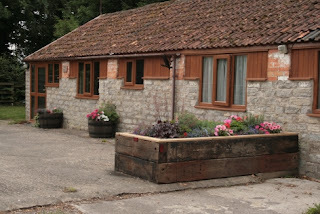 This traditional Somerset barn has been converted into two cosy cottages, Owls and Birds Nest. Both of the cottages lie on the ground level and Birds Nest is suitable for wheelchair users. Owls Cottage offers charming accommodation that's perfect for families. 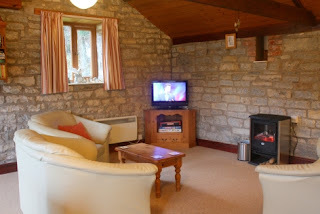 Birds Cottage can sleep up to 2 and is perfect for a romantic break away. Each cottage has a small garden and there is ample space for parking right outside the cottages. Garden tables and chairs are provided, and barbeque facilities, to make the most of warm summer evenings. Guests enjoy watching great-spotted woodpeckers feeding on the nut feeders opposite the cottage and walking along footpaths and quiet country lanes. If you enjoy nature, visit our bird hide at the wetland nature reserve, a pleasant 15-minute walk from the cottages. You can visit Longleat with its park, stately home and numerous activities for children, it has something for all the family. Go to Cheddar to explore the Caves and try Cheddar cheese made in the town, or visit the witch at Wookey Hole.